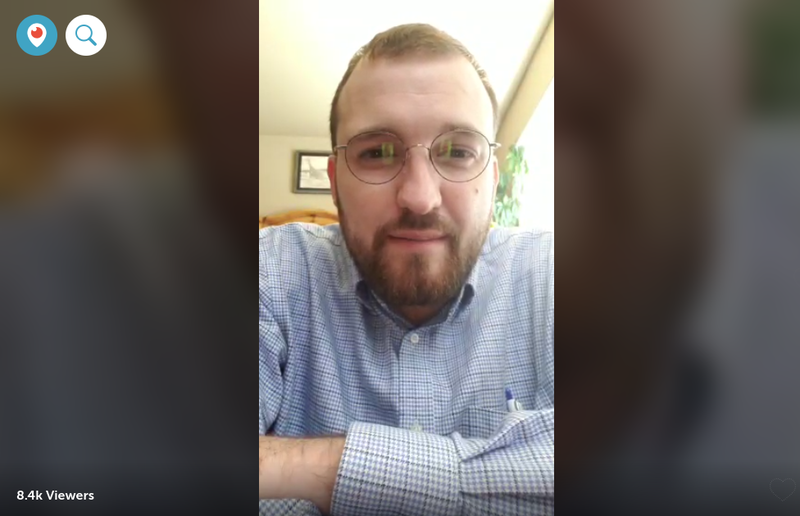 Charles Hoskinson of Cardano just returned to Colorado after a global quest to communicate the vision of Cardano. In a new 23-minute video, he touches on a number of technical details. The big takeaway: There’s lots of innovation that’s leaving the lab and entering production. In the video Hoskinson goes a long way to penetrate the minds of people who think that Bitcoin and crypto are fairy dust, rooted in nothing. By delving deep into the tech, he elevates the conversation for blockchain and crypto projects. He puts a face on it that challenges traditionalists who either can’t imagine or don’t want to believe the caliber of intellect, rigor and dedication that’s pouring into the space in order to completely transform the internet, global financial systems and every conceivable business transaction. Hoskinson met with several luminaries in Canada, Barbados, South Africa and Switzerland regarding the development of the Cardano ecosystem. He hung out with crypto enthusiasts in Barbados where IOHK launched a crypto course earlier this year. In Canada he attended the Futurist Conference where he served on a panel with Larry King. In South Africa, where he met with the president’s son, Tumelo Ramaphosa, Hoskinson attended the Blockchain Africa Conference which he called an amazing experience and event. He also says he did a lot of IOHK business in Switzerland. Before diving into the tech, Hoskinson also dished on his gout attack while traveling, explaining how it forced him to hobble around the world. With a sort of ‘the-show-must-go-on’ attitude, he got stuff done. Post-allopurinol and prednisone, here’s the latest from Cardano. It’s a huge update that incorporates changes to several features including data storage, wallet backend and the input selection policy. Because of the many upgrades, implementation will be broken up into two phases: 1.3.1, which launches this month, followed by the testnet launch in October, which will run 1.4. Early adopters can install a version of Daedalus, which is running 1.4, and then report any bugs or notes for improvement. Icarus is coming along. With the release of 1.3.1, Yoroi will enter testnet mode. The code is production quality and has been audited by Kudelski Security which specializes in cybersecurity for big enterprises. The team anticipates a short layover between testnet Youroi and mainnet Youroi, which will launch soon, and will create some diversity in the wallet ecosystem as it opens up beyond Daedalus. Using Youroi, Icarus and Daedalus, the small group of people who are having certain implementation challenges should be able to get everything running smoothly. Ledger support is also interconnected and is on the way, pending a firmware update. Hoskinson says that Youroi will then probably be the first interface to use Ledger, bringing cold storage to the Cardano ecosystem. The ecosystem is exploring two parallel tracks: one revolving around Ethereum and the smart contracts model, and the other effort of building up the UTXO (unspent transaction output) model. With the Ethereum model well on its way, the team will bump up resources to develop the UTXO model, popularized by Bitcoin, and figure out how best to apply existing infrastructure in banking to improve the blockchain ecosystem for financial transactions. One goal is to create “a periodic table of financial elements”. By examining complex financial relationships such as insurance contracts and derivatives, and breaking it down on a cellular level, Hoskinson believes the ecosystem can replicate what hedge funds, Wall Street and insurance companies typically do. That’s one of the priorities of the Marlowe Project, part of the Cardano ecosystem. The project is designed to allow smart contracts to execute seamlessly in a safe and secure environment. The implications are enormous because they can move industries between a permissioned private system to a public ledger. Plutus, a programming language used for defining smart contracts in Cardano, is designed to understand the triangle: the client side, server side and blockchain side for local computation and coordination. The goal is to create a more holistic and more optimized model for smart contracts. Hoskinson says they’re seeing heavy progress in this area to make Plutus a powerhouse in the UTXO model. He believes that formal verification in this model will be more powerful than Solidity, the Ethereum counterpart. More developments are in the works for applied standards in the creation of native cryptocurrencies. As the space matures, it will go beyond ERC20 and some of the other standards that are based on Ethereum. Hoskinson says the conversation can get a lot more broad by addressing the accounting and fee structures for a native digital asset. He also says there are some great scalability issues that can be leveraged and implemented in the UTXO model. Ouroboros, a new Proof of Stake algorithm, is designed to help optimize the use of sidechains in the ecosystem. Hoskinson says there are many prominent computer scientists who are taking a rigorous approach to Proof of Stake and they’re publishing great papers, allowing the community of researchers to learn from one another. Once decentralization is fully implemented, it’s projected to bring at least 1,000 stake pools, as opposed to 21 or 100, as is the case with other cryptocurrencies that have many fewer delegates. To make these pools serve their decentralized form, the Cardano team has studied the intersection of algorithms and game theory. The vision of the platform is to make it as functional as Google Play or the App Store, an environment that allows for one-click installation of DApps. As it matures, it will become an easier way for developers to deploy their DApps. Hoskinson wrapped up the announcements by addressing the news cycle and last week’s rumors about Goldman Sachs. “I know the markets have always been hard, and it’s frustrating at times when you see people say things like Goldman Sachs is shorting here, doing this here, and it knocks 10% off the market, even though it’s not even true, and things like that. But at the end of the day, remember that these are short-term blips in a broader, longer time horizon. The reality is that if this technology is good, it’s better five years from now than it is today. And if it’s going to be useful and change peoples’ lives, if you change billions of peoples’ lives, you have a big environment, you have a big ecosystem, and that’s what we’re going for. And that’s what we’re trying to do, and frankly, a lot of people in the cryptocurrency space are trying to do. Regarding the engineers who are entering the space, Hoskinson sees a changing tide. The post Charles Hoskinson: Updates on Cardano (ADA) for Version 1.4, Message to Crypto Enthusiasts appeared first on The Daily Hodl. Previous: Previous post: Is Ethereum Dead? Why the Run Down?